What's in a Nudge? 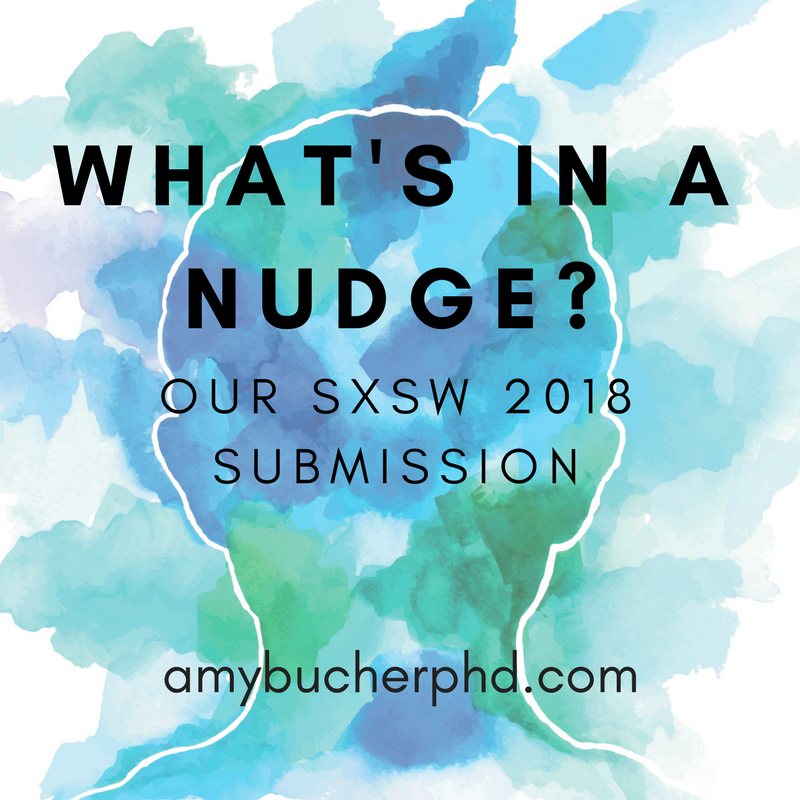 Our SXSW Submission | Amy Bucher, Ph.D. If we’re accepted, each of us will share our perspective on applying behavioral economics and other behavior change principles to engaging people with their health. We come from different angles in our professional roles and I think as a group we can cover many of the dynamics that people experience interacting with the healthcare system and the tools available to them. While we each have our own opinions, we all agree that no one approach is a magical fix to health behavior change. I plan to leave a large amount of time for questions, too. 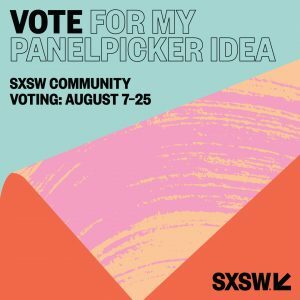 One thing that surprised me (in a good way) last year at SXSW was the insightfulness of the questions people asked of the panels, in session after session. I had thought that with such a broad conference topic not many people would be well-versed in any one topic. Not only was I wrong, but I underestimated how good questions can be from someone considering a subject from a different perspective. I loved the audience questions and want to make sure it’s a big part of our panel, especially with such smart speakers. You might know where this is all headed. 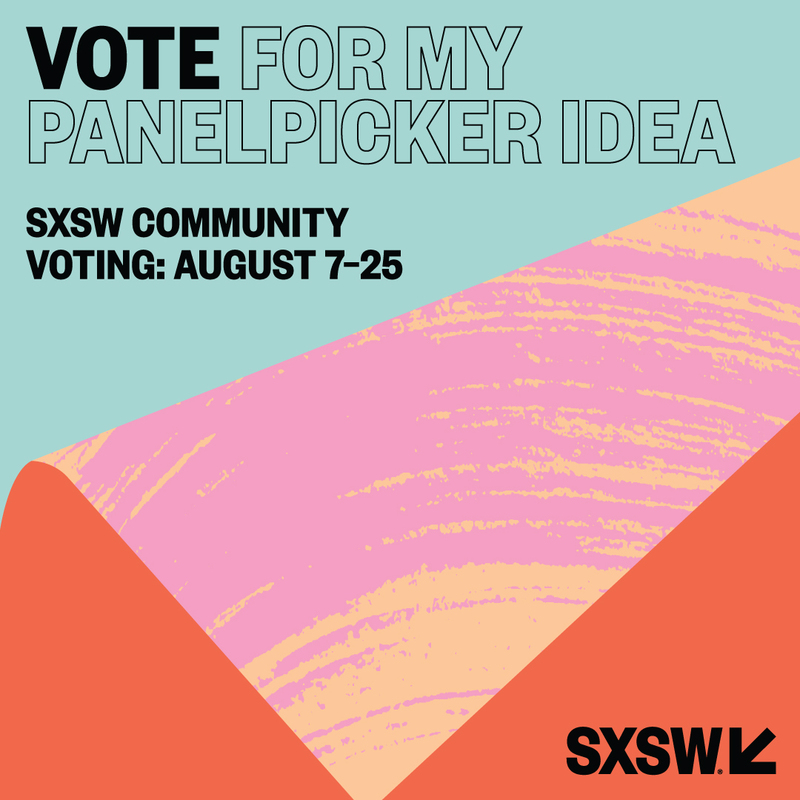 Part of being accepted to SXSW is getting votes from the general public on the PanelPicker. If you think our talk sounds worthy (I hope you do! ), we would much appreciate your vote. Unfortunately you do need to log in to vote, but the vote itself is just one click, and you don’t get spammed! Plus, you can vote for other panels that catch your fancy. Thanks in advance for any votes you send our way, and apologies for my daily tweets about voting. We’re excited to bring this panel to the stage and getting the vote total up is an important first step.